I consider myself extremely fortunate to have been surrounded by loving friends—old and new. One of them invited me to her daughter’s 10th birthday party. Actually, let me confess, I was self-invited. This friend is a special one because we were school-mates, and we met recently after 22 years of sweet-bitter separation. I spoke to her daughter a few days ago and I was planning to go to the party right from the time I self-invited myself. The location was far from my place but somehow, I trusted the universe to make it happen, and it really did. I was under tremendous work pressure so I thought to take the shortest route; by local train. Local trains in Mumbai are tougher than going to Mars; in the evenings. Hence, I attempted to catch a train in the afternoon itself. Although I have lived all my life in Mumbai, for the first time, I traveled this route. It was not less than playing rugby as the train was 30 minutes late. But somehow, I managed to reach the venue. The celebration was planned in a beautiful restaurant. There was balloons, lights, cold drinks, pizzas, masks and a lot of children. The birthday girl—Mehek—wore a beautiful golden dress like Queen Clarion. I have worked for Disney for a few years and for me whenever a girl looks cute, I think of Tinkerbell and other fairies in the story. I could also see the pixie dust coming out from her radiant dress. Little Mehek is a vibrant child with the cutest smile I have ever seen in life. She talks so fluently with children of all ages. 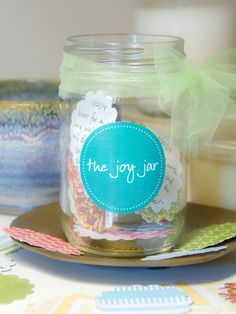 I gave her a joy-jar for this occasion and she seemed to be quite excited about the concept. I even met my friend’s husband—Deepak—and her mother. Her husband is a seasoned professional from the advertising industry and a great orator. We spoke for almost an hour! It was little Mehek’s birthday but looks like I got more than I gave. Although, there is no balance sheet that I have to tally but my asset side—my gifts—is heavy. I took the road not taken, I met a golden fairy who was emitting pixie dust for real, I met my old school friend again, I met a great orator who took my breath away, and I received so much love from the entire family. Posted on September 16, 2017 October 16, 2018 by Agastya KapoorPosted in HumanTagged balance sheet of life, birthday celebration, birthday party, little mehek, mehek, mumbai local train, vashi. Thank you dear AK and for taking time out to make this day a memorable one!!! I loved it. I really did. I am honored to write about it in this life.